If you live near a coastline, you’ve certainly observed the way the tide comes in and flows out during the day, making the land appear to rise and fall relative to the water. While a vague knowledge of tide levels is better than nothing, if you’re interested in knowing just how high and low the tide is at a certain time for navigation or for nature observation, this “Tiny Moon Tide Clock” by hacker “rabbitcreek” looks like just the thing. As shown in the project’s write-up, the heart of the device is an Arduino Nano clone, along with a tiny OLED screen to show the predicted tide. 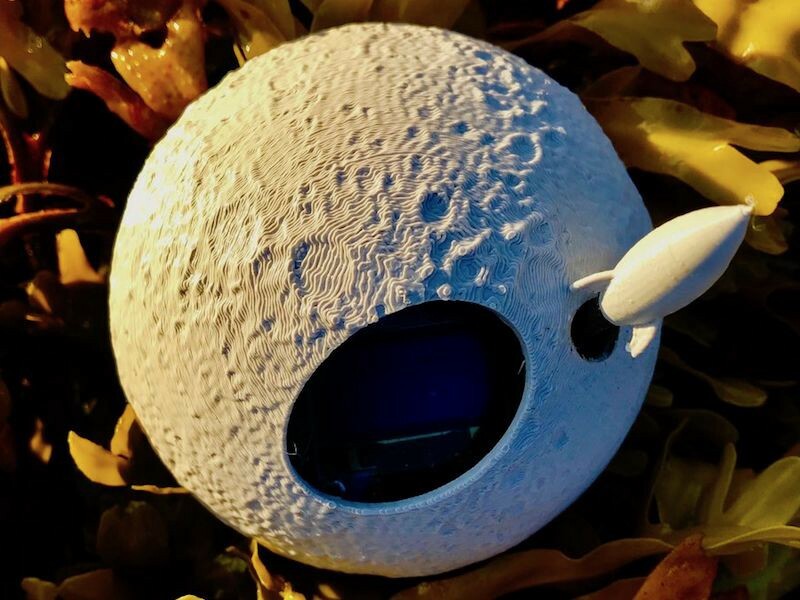 A single button switches between three display screens, and a printed circuit board allows the whole unit to be stuck inside a small housing in the shape of the moon. Given that this celestial orb accounts for most of Earth’s tidal activity, it’s a great way to help the students, which it was designed for, remember what’s pulling on the ocean! The Tide Clock costs around $8 to make and should run for a couple years on coin-cell batteries. This, in addition to its moon and rocket button form factor, should make it a very accessible and entertaining project learning about electronics, as well as what’s going on in nature! 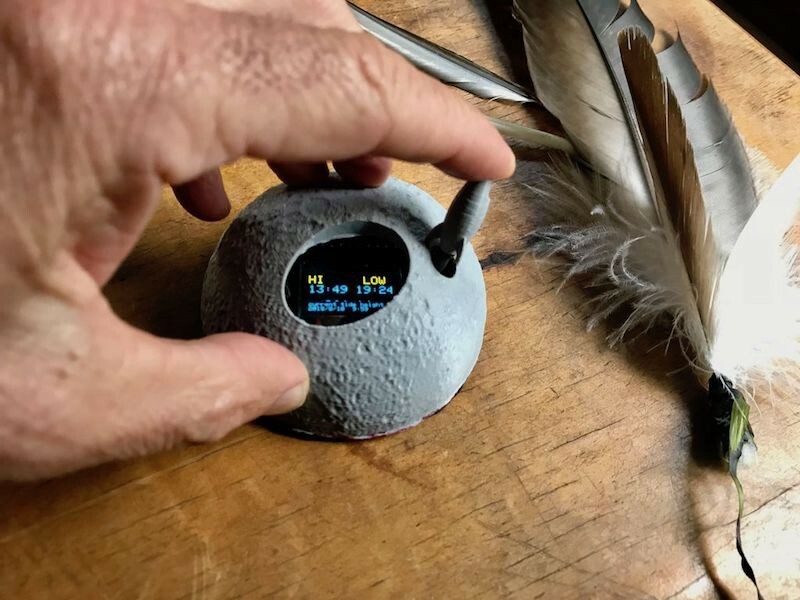 A Moon-Shaped Tide Clock was originally published in Hackster Blog on Medium, where people are continuing the conversation by highlighting and responding to this story.